How much is Farah Pahlavi Worth? Farah Pahlavi net worth: Farah Pahlavi is the former Queen and exiled Empress of Iran who has a net worth of $100 million. 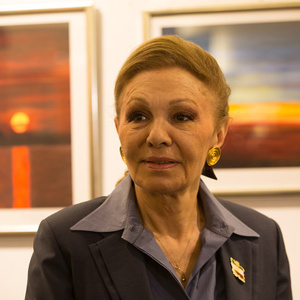 Farah Pahlavi was born in Tehran, Iran, and grew up in a close-knit, financially secure family. After her father passed away unexpectedly, her family's financial situation changed drastically, and they moved in with her uncle's family. She attended multiple international schools in Iran, and went on to study architecture at the Ecole Spéciale d'Architecture in Paris. As Iranian students abroad were funded by the state, all students met with the Shah whenever he traveled. She was presented to Mohammed Reza Pahlavi while studying in Paris. After a very intricate and heavily managed courtship, they were married in 1959. She became quite popular for her active interest in educational, health, and cultural initiatives. However, some of her spending practices were heavily criticized. Her husband went on to make her an Empress. This made her the first Empress of modern Iran. He also appointed her Empress Regent in the event of his death. They were eventually exiled in 1979. She is now widowed and splits her time between Washington, D.C. and Paris.